Rocking neon stripes and purple metallic shoes has got to win me some confidence points. I mean who does that? Honestly, the combination didn’t feel too out of place since the shoes have a slightly pinkish tint to them, and I played it relatively safe with the rest of the outfit. 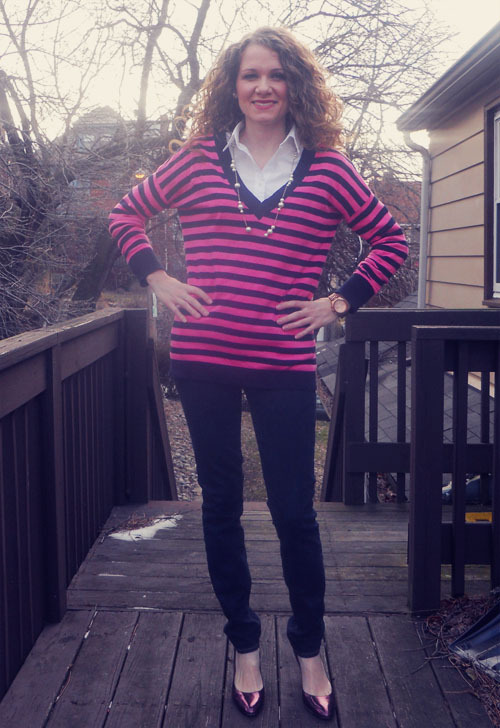 I also love the boxier shape of this sweater paired with the silhouette of skinny jeans. 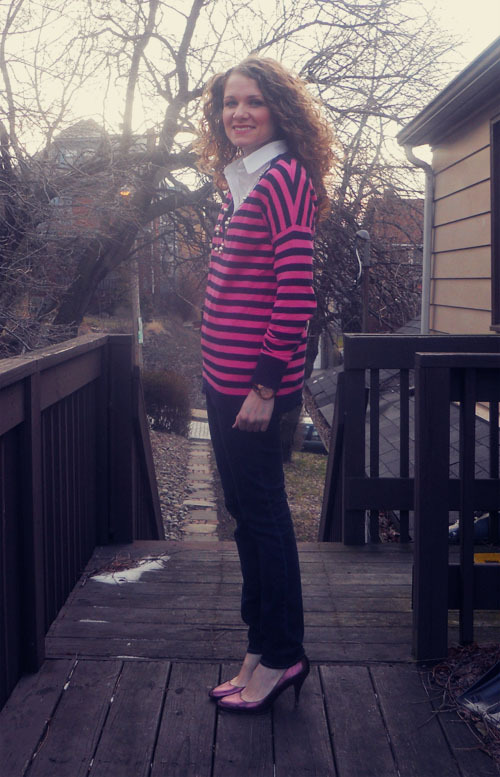 It adds that boyfriend sweater look without making it look too tomboyish. For some reason I have a hard time getting too comfortable for casual Fridays. So instead I usually glam out the look with statement jewelry or a great pair of pumps. I think we used to refer to this as snappy casual back in my sorority days.